NOTE – This article originally appeared in the September Newsletter. While I have made a few minor tweaks to my packages and pricing over the summer months, I really haven’t made any major changes in quite a while. I have started a review of the products and services that I offer and it immediately came clear that I need to offer a wider variety of print products, including cards and gifts, albums, and even framed and matted images. I can certainly provide all of these things now, and I have been doing so on request, but I know that many people would prefer to have some easily accessible information about what is available and at what cost. Because I have a number of new products that I’m planning to roll out, I thought I would feature some of them in the newsletter. This month I’m going to showcase a few of the greeting card designs that I have made recently. This is of particular interest right now because my show special at the Calgary Moms Trade Fair this weekend is a bonus set of 20 custom greeting cards to be included with any portrait session booked by the end of the month. 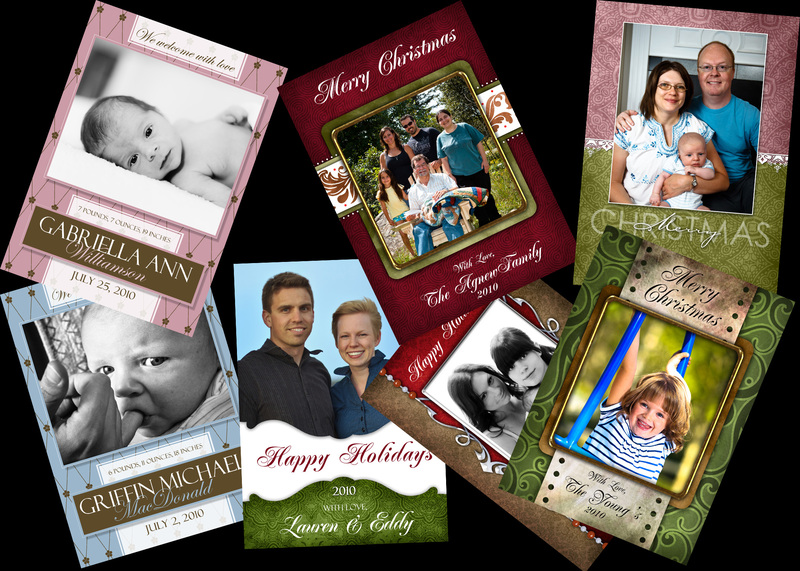 Greeting cards may be purchased with images from any portrait session and they are available as flat or folded cards. The flat cards are beautifully printed on professional quality photographic paper with a Lustre finish, while the folded cards are a press printed on card stock. Several papers and finishes are available. Mailing envelopes are included with every card.